Several years ago I taught a series of sewing classes for children. I’d picked up several used sewing machines from yard sales and flea markets, which my “sewing machine repairman” husband would check out, do any repairs and get them ready for the kids to use. The basic sewing information and projects that we put together and used for the sewing classes was finally put together in one easy to use and follow book – “Learn How To Sew” – which made it super easy to do the sewing classes. It’s amazing how quickly the kids caught on to learning to sew, and to see the competitive side of some of them where they wanted to have the “perfect” seams, or to be able to sew and finish TWO of the projects in the book rather than just the one that was required for the class. Another interesting thing that happened during the course of teaching the childrens’ sewing classes was the number of mothers that asked about getting THEIR sewing machine repaired. Some had not been used for years and now that the child was learning to sew they needed to have a machine at home for them to continue sewing on. Others were sewers who just needed to have their personal sewing machine cleaned and a general tune-up done. Still others did what we had done – gone to a yard sale and gotten a used machine for their child to have as their own, and needed to get it checked out and repaired first. Fortunately for me, my husband was a sewing machine repairman, but if you or your husband have any mechanical ability whatsoever, I’d suggest that you check out my husband’s “Sewing Machine Repair As A Home Business” manual in order that you can get this secondary source of income, as a by-product from teaching children’s sewing classes. In this economy I’d say that you shouldn’t limit your sewing classes to just children – there are probably a number of adults that would also be interested in learning to sew in order to cut down on clothing expenses, or at least to be able to repair their own clothes (rips, hems, zippers, etc). 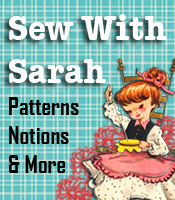 You may be wishing you’d started some sewing classes months and years ago! Have You Considered Teaching Adults To Sew?